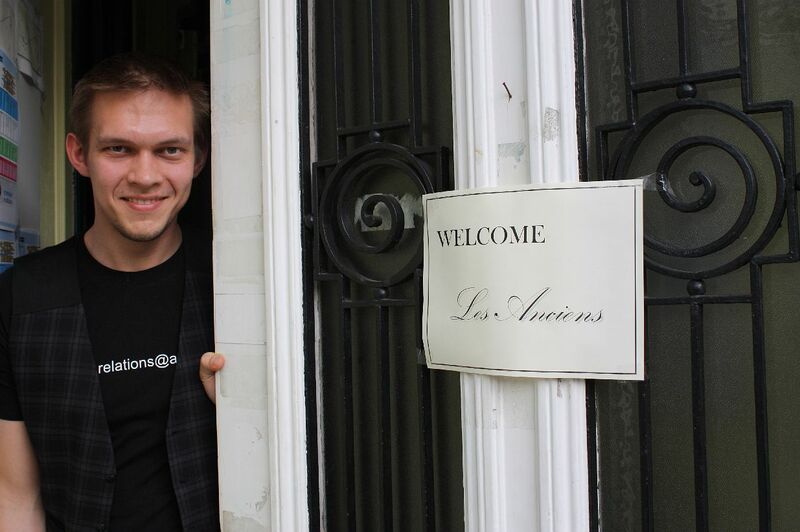 Jüri Kirpu and the other CD members gave the Les Anciens guests a great welcome. Back2Brussels is usually the biggest event in Les Anciens every year. Since many Les Anciens are connected to Brussels, the city where AEGEE-Europe’s headoffice is situated, and since this place is easy to reach for the Les Anciens members, usually between 60 and 80 people show up for the annual gathering in March. The programme of this three-day event usually consists of a dinner and pub meeting on Friday night, sightseeing on Saturday afternoon, a reception at the AEGEE headquarters on Saturday night and a Sunday brunch. In 2011, the meeting took place in the last week in March, which made it possible to have a great barbecue in the garden of the AEGEE headoffice. The event gives both the chance for Les Anciens members to see each other again and to meet the Comité Directeur of AEGEE-Europe. B2B 2017 is taking place from 1-3 September. Download the Back to Brussels programme 2017. What is Belgium famous for? Good food. From 23 to 25 March 2012, 60 Les Anciens members enjoyed a lot of good fries, beer, one of the best brunches ever and a great barbecue in the AEGEE-Europe headoffice. Les Anciens board member Carolien Nijenhuis put together a great programme. On Friday night the group had an all-you-can-eat rib dinner at Amadeo, followed by a visit to the nearby pub Celtica. On Saturday morning the programme will start with a visit to the Parlamentarium, the European Parliament’s Visitors’ Centre. Afterwards Brussels oldies, who visited the first AEGEE headoffice in Brussels in 1996, experienced a very sentimental lunch: the group went to Maison Antoine, the most famous Belgian fries place, located at Place Jourdan.The group had to wait nearly one hour in the long queue, but no one really minded, because of the brilliant weather with a lot of sunshine and T-shirt temperatures – the best weather conditions ever during Back2Brussels. For Saturday afternoon Carolien booked a tour at the Beer museum in Schaarbeek. The beer was no best in the museum, but the tour with the charming old lady, who runs this place, compensated for it. Finally, after a long Saturday, the sightseeing programme concluded about 6 pm. The 60 participants just had time to go back to their hotels and relax a bit or to attend Egens’ birthday party, before the annual CD reception in the AEGEE headquarters started. The CD was looking very much forward to welcome the Les Anciens crowd to their house. The place looked clean as never before. Since last year’s garden party was a smashing success, the CD around AEGEE-Europe President Alfredo Sellitti continued this new tradition. Very tasty food, lots of Sangria and beer plus mild evening temperatures turned the night into a great success. Les Anciens gave the CD a very yellow doll chicken as a new mascot. So far they had only two living mascots – two rabbits that live in the back of the yard. On Sunday the programme concluded with a brunch at the “Bla bla & Gallery” in the central district Marolles – with great food and talks in a great location. 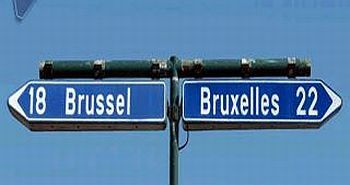 Below you will find the photos ofBack2Brussels 2012!